This blog has been neglected for far too long while I've been focusing my attentions on The Plover Blog, but I've decided to try and get back in the swing of things by posting at least an occasional update here every so often. 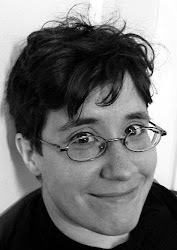 It's linked in the Storify, but I wanted to specifically point out the excellent article Your Next Conference Should Have Realtime Captioning, by Lindsey Kuper, organizer of ! !Con, which I captioned back in March 2014. Many thanks to Lindsey for making it happen; it was a wonderful experience. I also wanted to post my response to an organizer who asked me recently whether captioners or ASL interpreters could be interchangeable, because this is a common source of confusion for people who want to make their conferences accessible but aren't sure where to start. "They have different but sometimes overlapping uses. Basically, if someone requests ASL, you should definitely provide it for them, because it's definitely possible that they're more fluent in ASL than in written English, and having to read through captions and then translate into ASL in their head might be really fatiguing. Many people are equally fluent in both, of course, but if they're requesting interpreters rather than captioners, there's usually a good reason for it. Also, a big advantage of ASL interpretation is that the interpreter can walk with the attendee and interpret conversations with other attendees between talks, which is much trickier to do with captioning. On the other hand, even if you don't get specific requests for captioning, I'd encourage you to provide it proactively, and not just because I'm a captioner. The fact is, hearing loss is extremely common -- 1 out of 7 people have it to one degree or another -- and conferences, where the presenter is at the front of a big room and usually too far away to lip read, can be among the most difficult for people with an amount of hearing loss that otherwise isn't too limiting. So people who are just fine speaking one-on-one with someone in a quiet room can be totally at sea in a conference situation. Captioning is also really helpful for people who speak other languages and are more fluent in written English than spoken English, people who have attention deficit issues, and people who want to take notes. If you stream your captioning, you can also give people a chance to keep a live feed going on their phone while out in the lobby or wherever, which gives them more flexibility to keep tabs on talks they're really interested in while still being able to hack or socialize. TL;DR: If you get a request for ASL, please do honor it, even if it means you then won't have enough funding to provide captioning (though obviously both would be ideal). But if you don't get any explicit ASL or captioning requests, please consider providing captioning anyway. In a room of 100 people, odds are that 15 to 20 people at least will get a substantial benefit from it. Live captions are also useful as a starting point for captioned video, if you're planning to post talks online, which is not only useful from an accessibility standpoint, but greatly improves SEO". If you'd like to read more on this particular topic, please see the excellent Audio Accessibility Blog for the perspective of a deaf accessibility and user experience designer who frequently attends and presents at conferences. I'm happy to say that Alterconf Oakland/SF, a conference I recently captioned remotely (after captioning their New York City session onsite) did have both ASL interpreters and captioning provided proactively, and I know for a fact that at least one person in the audience (Ian Smith, aka @metaforgotten, in the Storify above, a programmer and linguist whom I've known on Twitter for ages but sadly have yet to meet in person) made use of both the interpreters and the captions while attending. Unfortunately there were some unforeseen technical glitches at the conference venue that prevented me from getting a clean sound feed from the AV board. I had to use audio from the laptop microphone as a last resort, which, as any captioner can tell you, will produce wildly variable results. Some speeches were as clear as daylight, and I got every word. Some were terribly distorted to the point of inaudibility. Fortunately AlterConf Atlanta has pledged to do a full test of their audio equipment before the event, so there should be no further problems on that front. 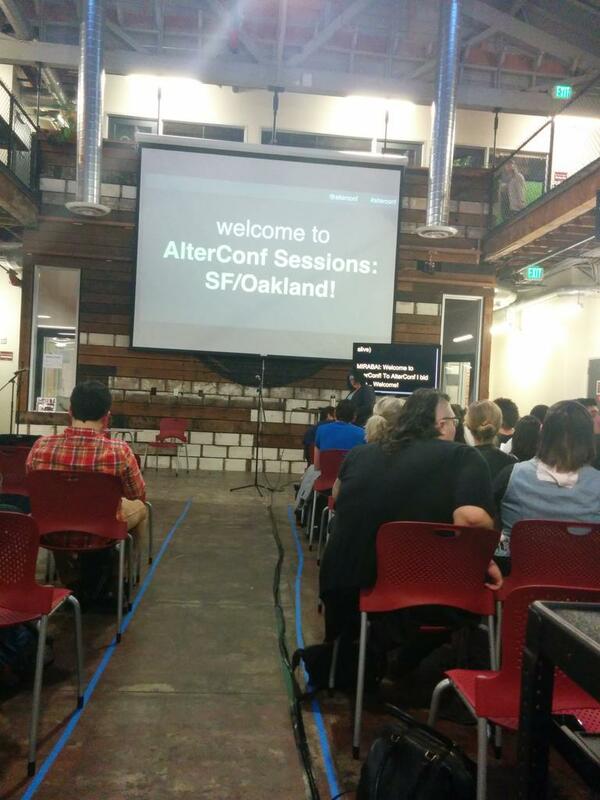 Kudos to AlterConf for their indomitable commitment to accessibility by successfully finding sponsorship for both ASL interpretation and captioning! If only all conferences could follow their example.